Experience the best of Miami from our modern beach house steps from world-class shopping and white sands and turquoise waters. Balancing the high energy Miami is known for with the laid-back vibes of its pristine beaches, The Landon offers an ideal address on East Bay Harbour Island, a quaint community separated from the mainland between Aventura and South Beach. Convenient access from both Miami International and Fort Lauderdale International airports makes for a seamless arrival at The Landon. 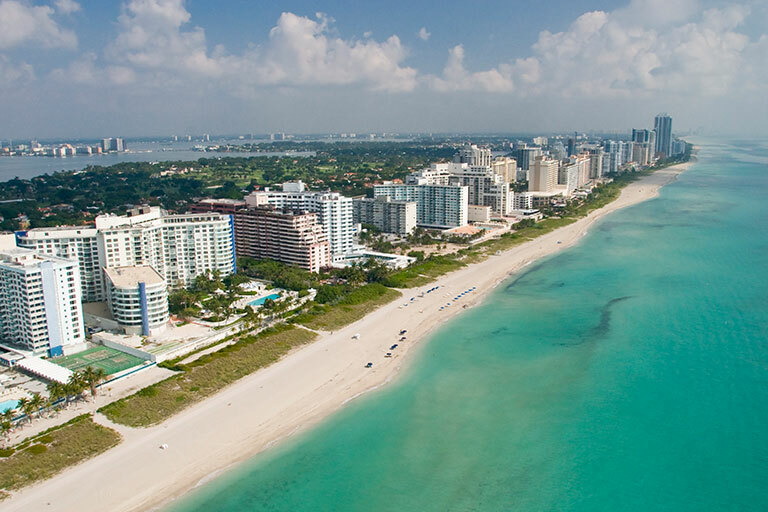 Enjoy the coastal lifestyle on nearby Bal Harbour and Haulover beaches. Take in the colorful sights and Miami Modern architecture in South Beach's iconic Art Deco District. Catch the NBA's Miami Heat in action at the American Airlines Arena, take advantage of a golf membership at esteemed Indian Creek Country Club, or seek out outdoor adventure at Oleta River State Park. The Landon is perfectly positioned for wherever your day takes you. White sands and soft waves spanning one mile along North Miami's Atlantic Coast, Bal Harbour Beach offers a tranquil escape moments from The Landon's front door. Stroll down the seawall jetty that extends into the ocean, ideal for fishing or admiring the view. Take the beautifully landscaped path parallel to the water to explore the length of Bal Harbour and into the southern tip of Surfside.